On the design side I focus on print and packaging. On the photography side I focus on fashion and high end luxury goods. I think it's important for a good art or creative director to be able to do many different things within the creative world. How can you direct someone properly if you don't know what it takes to create? This is why I'm in a constant state of exploration. I have a strong grasp on design and photography and now I'm jumping into film and video. I'm also a huge believer in using analog when it makes sense. This is the reason why much of my photography is 35mm & 120 film. It forces you to understand the camera as well as the process of creation unlike digital ever could. Raw creative talent is great, but I don't think you can become truly amazing unless you put in a huge amount of hard work and dedication. I am also a painter and fine artist. I love using my skills and talent for design pieces. I worked on a branding project for a skincare company and was able to incorporate painting into the label! It ended up going over really well and exuded this beautiful warmth to it that only fine art can give. I went to art school at Columbia in Chicago where I studied graphic design with a heavy focus on print and publications. Right out of school I started an independent publication called Ancestry Quarterly. We've since stopped creating issues but we had four successful launches with distribution all over the world! 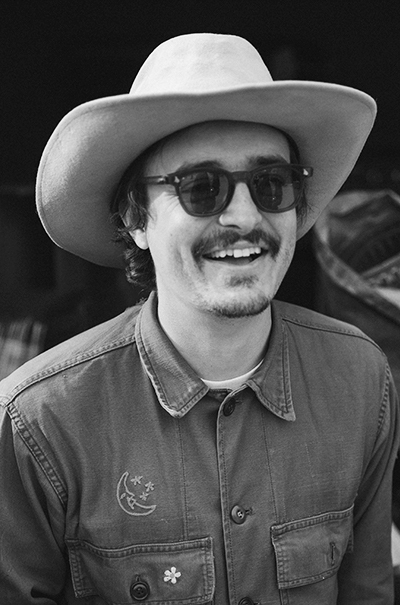 After we stopped Ancestry, I moved out to California (4 years ago) and started working as the in-house art director for the natural fragrance company, Juniper Ridge. They hired me to head their rebrand which has been an outstanding experience to delve into a brand at that level. I have since gone freelance but still work with them quite often on a multitude of creative projects. I try to focus on the good in what people are doing and how I can improve my own work! Focusing on what people lack or don't have brings me down and isn't good for the creative process. I'm working on this trade show out in the middle of Joshua Tree called Desert & Denim. This is especially exciting because we are treating the event as if it is it's own town, complete with a community center, public pool, art gallery, amphitheater, wellness center, food court and even a dive bar! It's a challenge because we want each facet to have it's own identity while all adhering to the overall brand of Desert & Denim. 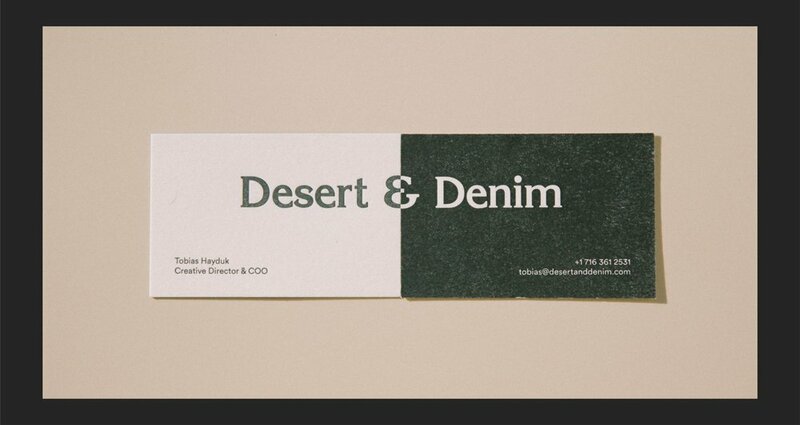 At the moment, what I'm creating for Desert & Denim really represents where I'm at creatively. I'm able to mix fine art and design as well as drawing inspiration from the past yet keep it all refreshingly modern. I am currently in the process of working on a skin care line of products all derived from beehives. It's not on my site yet, but will be up shortly! I want to start doing more work in the film industry. I've always had a love for motion picture and think it's the next logical step for me. Good art direction can turn a good film into an outstanding film and I'd like to dive into it in a big way. Keeping up with all the smaller projects. It's get tough to jump into 4 or 5 different creative projects in a day. A lot of what makes the creative process so amazing is getting into that deep creative state with one project and staying there and exploring to see what emerges. When I have a bunch of smaller projects happening at once, it get's tough to maintain that creative space. Invoicing and deadlines! I would love to have someone along side of me doing the more business oriented side of the job so I can spend as much time as possible doing what I truly love, being creative. Not to be so focused on "making it." If you're passionate and have an absolute love for what you do, you will end up find success. Had I figured this out earlier I think I would have saved myself a lot of stress. Definitely how to start a creative studio with another strong creative person. This scenario has so much potential but often times seems like an insanely difficult thing to achieve. Right now I'm loving the art direction work I've been doing on photoshoots and the few videos I've done. I'm focusing on that at the moment but of course still get excited about full branding projects. I love helping a brand recognize who they are and how they want to be perceived to their customers. Ideally I would only have clients who have a good budget, an outstanding concept and trusts me fully creatively to take the reins. But who doesn't want that, right? For collaboration, I would love to work with a fashion designer on patterns for a line and then build out a creative strategy complete with a photo shoot, film and design for the launch. My normal rate on design projects is $80/hr but I often times quote per project based on scope of work. My photographer day rate is $750 but that can always be negotiable based on the clients needs. Email me. Ideally they run through the idea as complete as possible. Also, don't be shy about budget! Going to the art museum. This member profile was originally published in January 2018.